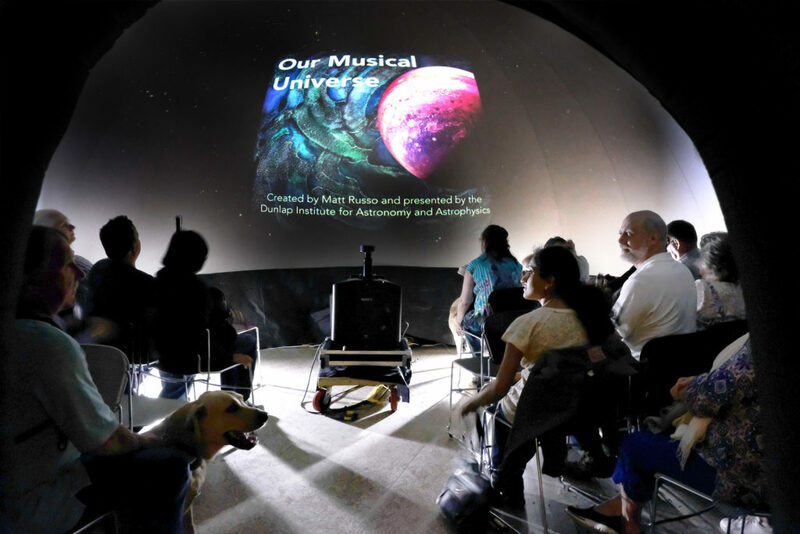 We have developed a sound-based planetarium show Our Musical Universe which takes people on an audio and visual tour of the cosmos from the night sky all the way out to the edge of the observable universe. It is currently showing at the Dunlap Institute for Astronomy and Astrophysics’ planetarium at the University of Toronto. For tickets to public shows visit here. More dates will be added soon! The artwork features “Myth” by visually impaired artist Robyn Rennie, who painted it after experiencing an advanced showing. 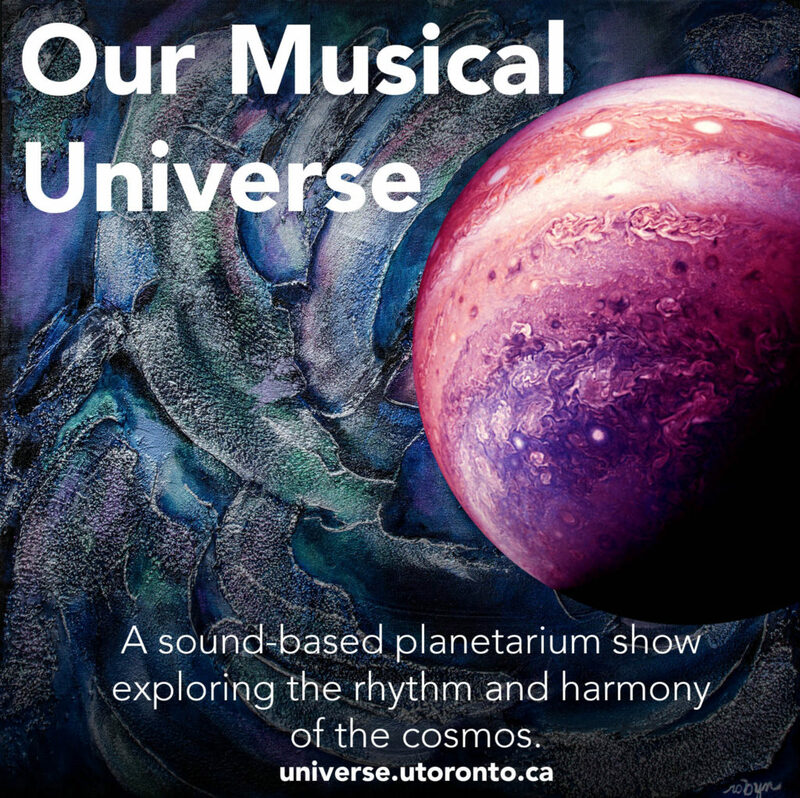 Our Musical Universe was featured in the National Post, the Globe and Mail, and on CBC’s Metro Morning. 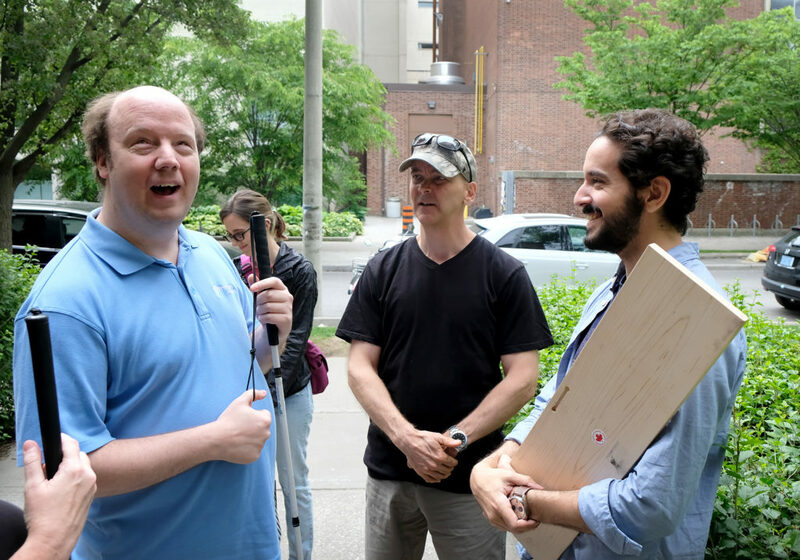 An audio essay that lets you hear some of the sounds from the show was produced by UofT in this article. 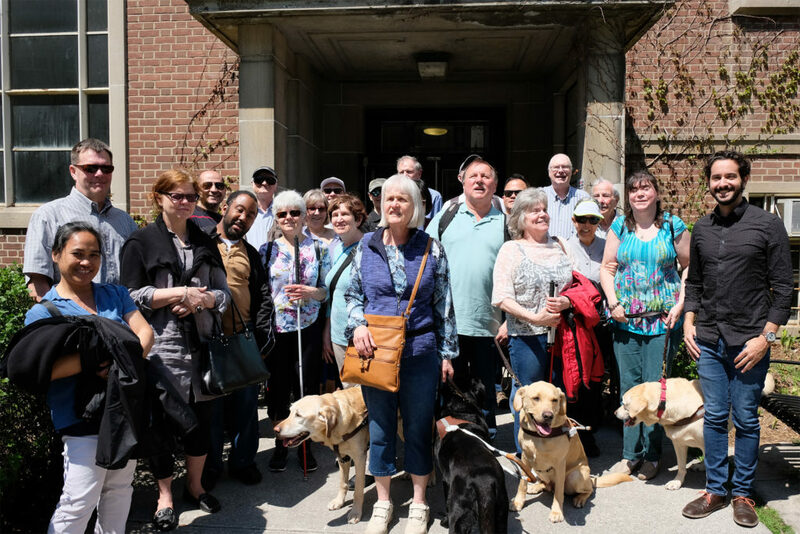 It is supported by the International Astronomical Union’s Office of Astronomy for Development and by the Ontario Arts Council. We plan on releasing a fully rendered version in 2019 which can be shown in planetariums around the world!